Dating from the Edwardian Art Nouveau time period, a lady’s dress belt. This interesting belt is made of thread covered in silver metallic, woven into a cloth-like fabric. 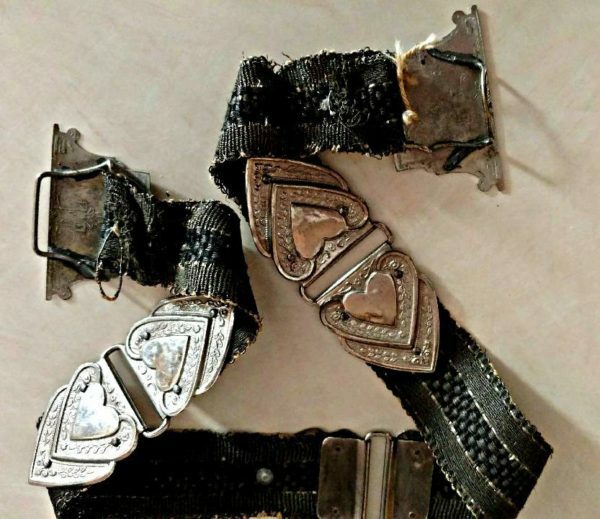 The woven cloth is then connected to three set of engraved double hearts and metal end clasps.